Thanks to everyone who attended and participated in this week’s webinar on ‘Performance Tuning of HAProxy for Database Load Balancing’. And special thanks to our guest speaker, Baptiste Assmann of HAProxy Technologies. If you missed the sessions or would like to watch the webinar again & browse through the slides, they are now available online. Watch the replay of this webinar to learn about what HAProxy can tell you about your application and database instances. And understand the difference between short-lived connections and persistent connections, and how they affect the performance and availability of your applications. This webinar replay covers the performance tuning basics for HAProxy and explains how to take advantage of some of the new features in 1.5, released in June 2014 after 4 years of development work. This session was a follow-up to our previous webinar on MySQL Load Balancing and HAProxy. 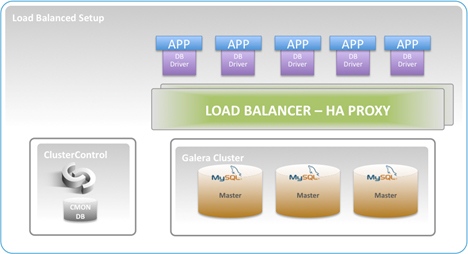 For additional information, check out our MySQL Load Balancing with HAProxy - Tutorial. Watch the replay of this webinar in which we walk you through all you need to know to plan and execute a successful migration from Oracle database to MariaDB. You would be surprised by the number of MySQL installations running default configurations, regardless of the workload. However, what works well for a read-intensive workload might not work as well for a write-intensive one. Configuration parameters also need to take into account the underlying hardware. This cheat sheet provides some quick tips on how to tune some of the key MySQL variables in order to improve performance.